Mosaic of the Schiaparelli hemisphere of Mars projected into point perspective, a view similar to that which one would see from a spacecraft. 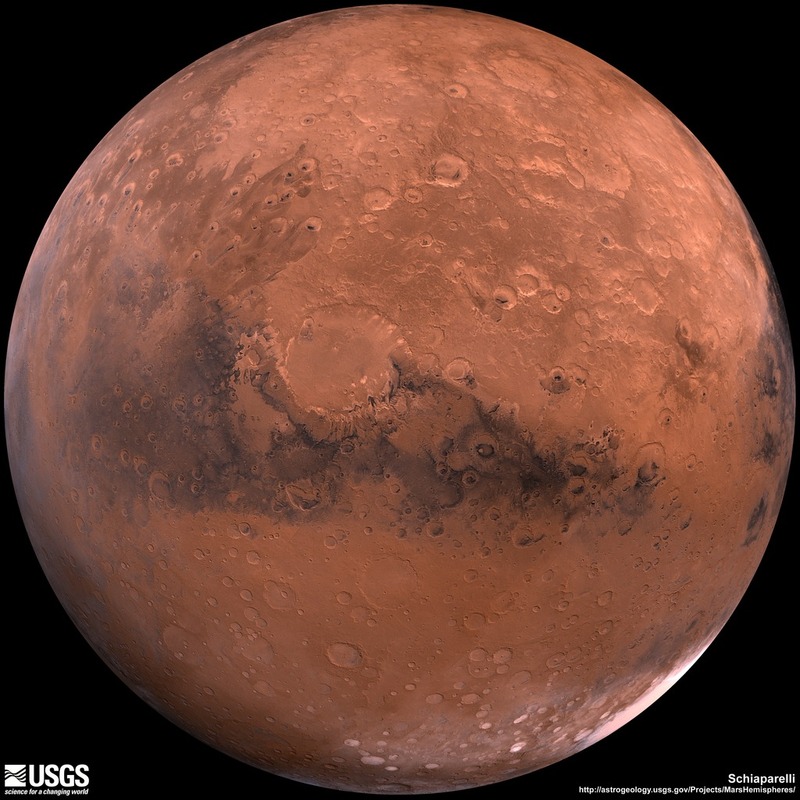 The images were acquired in 1980 during early northern summer on Mars. The center of this image is near the impact crater Schiaparelli (latitude -3, longitude 343) The limits of this mosaic are approximately latitude -60 to 60 and longitude 260 to 30. The color variations have been enhanced by a factor of two, and the large-scale brightness normalized by large-scale filtering.